Although every DWI case is different, one of the most common concerns of our clients is how their automobile insurance rates are going to be affected and/or if they will be able to get liability insurance at all. We have all heard the horror stories about dramatically increased rates and difficulty in getting insurance. Given these concerns, we reached out to a local insurance representative to get some answers to your questions. Ramey Fesperman of the Southeast Insurance Agency located here in Charlotte was kind enough to prepare the following information for your review. It is being offered on our website for informational purposes only. The state of North Carolina has an assigned risk pool (NC reinsurance facility), into which most insurance companies put “high risk” drivers with DUI/DWI convictions. 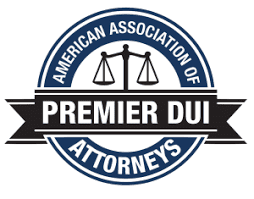 The facility rates can cause as much as a 300% increase on a standard insurance rate after a DUI. However, not all companies place customers who have been convicted of a DUI into this facility risk pool. There are a few companies in NC that will accept a driver with this conviction without “ceding it to the facility”. This process is commonly known in the insurance industry accepting risk on a voluntary basis. What does that mean for you if you have been convicted of a DUI and your insurance has increased dramatically or been dropped completely? 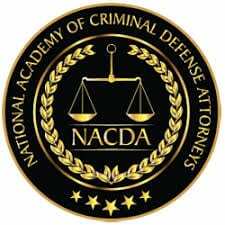 We work with each company in NC that accepts DUI convictions on a voluntary basis. This means we are able to shop your rates to determine potential coverage options with affordable rates even after your conviction. How many points will I incur on my license? This is by far the most common and confusing question when it comes to DUI/DWI convictions. The point system the Department of Motor Vehicles uses vs. the point system used by insurance companies are completely different. As it pertains to insurance, a DUI conviction in NC will charge 12 insurance points. Insurance companies use this point system to determine if they will accept your risk and to calculate the corresponding rate they will charge. What is the difference between a violation date and the conviction date? The violation date is the date in which you received the citation. The conviction date is the date you are determined guilty by the court system. In NC, insurance companies calculate premiums for violations from the conviction date. How long will my insurance premium be affected? Most insurance companies in NC look at your driving record for the past 3 years to determine your rate and eligibility. Is insurance required in order to get my license reinstated? Yes. In NC, you must have proof of insurance before you are able to get your license reinstated. The form required is a DL123 form, signed by a licensed agent. How is it possible that I may still be able to get reasonably priced vehicle insurance after a DWI? The companies that specialize in this type of risk have found that generally, an individual changes his or her behavior after a major event such a DUI has occurred. Statistically, most people are less likely to get involved in another high-risk related incident for the next 3 to 5 years after their violation. Therefore, some companies will take on this risk without placing it into the NC reinsurance facility. Southeast Insurance Agency is an independent insurance agency serving North Carolina, South Carolina and Virginia. 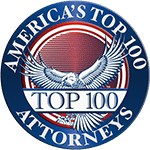 They specialize in insurance for high-risk drivers and DUI/DWI convictions. Please contact Southeast Insurance Agency toll free at 888-864-1004 for additional information and a review of your potential options.